For many years, the first thing I did in the morning was turn on the tv. I was an avid Good Morning America fan and was interested to see what breaking news I’d missed while sleeping. My after work routine was much the same: come home, swap work clothes for pjs or sweats, feed insistent cats, make dinner, flop in front of the tv until bed. Sometimes I’d read a little in that mix, but the tv would always be on. I would have to make a conscious decision to turn it off to concentrate, depending on what I was doing, because the background noise just WAS. I’d imagine there was an element of comfort to this, too, living alone. More and more, however, I find myself leaving the television off. At first, it started because I wanted to see if turning it off helped me keep up with the house better in the evenings – even if it was only off for a half hour between shows. Of course it did. Do you know how much you can accomplish in a half hour if you want to? Load the dishwasher, switch over the wash, scoop the cat box, AND prep your lunch for tomorrow. Productivity aside, I also started to feel more and more like I was wasting precious time on things I didn’t care about. What was the point in sitting in front of the tv, watching show after show that I didn’t care about? Simply in the name of “relaxation”? I never seemed to end up feeling relaxed – I just ended up feeling lazy. And more tired than when I first sat down. Most of all, however, I’ve come to appreciate the quiet. More and more I find myself searching for peace in my days and my life. It used to be harmony that I most greatly desired but as I’ve grown and changed, I’m realizing that safety and peace are much more important to me. 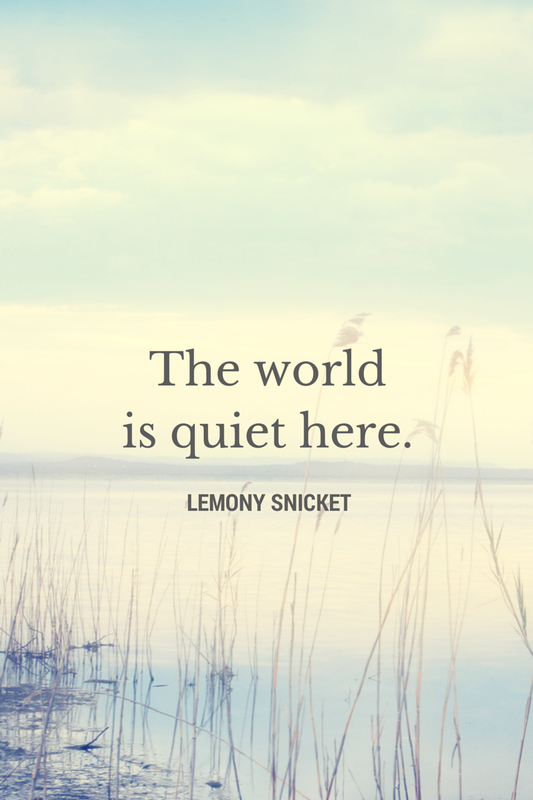 There is so much chaos in our world, in our relationships, in our daily interactions…it’s nice to simply be in the quiet. Mine’s Wednesday! Though I do love Scandal.